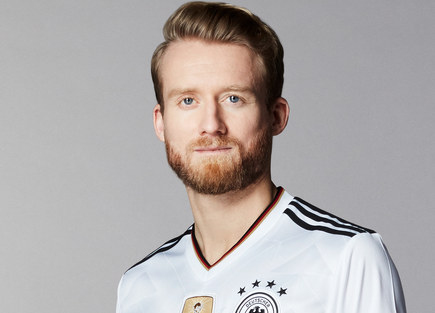 One of the famous German professional footballer who plays for Borussia Dortmund and the Germany National team is Andre Horst Schurrle who is known as Andre Schurrle. He plays as forward. He started his career at Mainz 05 in 2009. His shirt number is 21. 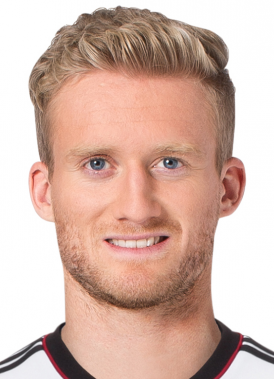 Andre Schurrle was born on 6 November 1990 at Ludwigshafen, Germany. His father name is Joachim Schurrle and mother name is Louis Schurrle. In 2009, he started his career at Mainz 05. Andre Schurrle’s height is 1.84 m and weight is 74 kg. His hair color is blonde and eye color is black. His body type is athletic and face is of square shape. At age four, he started his career at local Ludwigshafener SC before joining FSV Mainz 05 in 2006. He played as defender. He played three years at the club’s youth team. He earned Under 19 Bundesliga in 2009. Andre Schurrle made his Bundesliga debut in August 2009 at season 2009-2010. He scored first two league goals on 19 September 2009. He also had signed five-year contract with Bayer Leverkusen in September 2010. He would also join the team in 2010-2011 season. Andre Schurrle moved to Bayer Leverkusen in 2011 signing the five-year contract. In German Cup tie he scored his debut goal. He scored his first European goal in Championship League. He scored his first season goal in 26 September. He provided 9 assists in 43 games in all the competition. Andre Schurrle was officially transferred to Chelsea on 13 June 2013. He signed the five-year contract. He was given the shirt number 14. He scored his first goal on 4 August. He scored his first Premier League hat-trick on March 1. He was also awarded as Man of the Match. He was in the team of UEFA Champions League. he scored his first 2014-2015 season goal on 18 August 2014. He was also voted as Match of the Day. He also received a medal for playing 14 matches in the league season. Andre Schurrle was transferred to Wolfsburg in 2 February,2015. He made the debut after five days. He first scored his goal on 4 April. He was also in 2015 DFL-Super cup and won it on 1 August. He was also in the team of UEFA Champions League quarterfinals. Andre Schurrle joined Borussia Dortmund on 22 July 2016. He made his debut on 14 August 2016. Andre Schurrle was in UEFA European Under-19 Football Championship and also under 21 team in 2009. He was also called in senior team in November 2010. He was also in UEFA Euro 2012 squad. He was also in Germany 23-man squad for UEFA Euro 2012. He was also included on the squad for 2014 FIFA World Cup and UEFA Euro 2016. Andre Schurrle is not married. He was dating Montana since 2013 but they got separated on 2016. Recently he is in relationship with his fiancé Anna Sharapova who is studying architecture in Berlin. The couple first met at fashion show on January. They are very happy together. They are even supportive to each other. Andre Schurrle net worth is estimated to be $22 million. He is rich footballer and he receives a salary of around $7.1 million in a year. His earnings are from football.